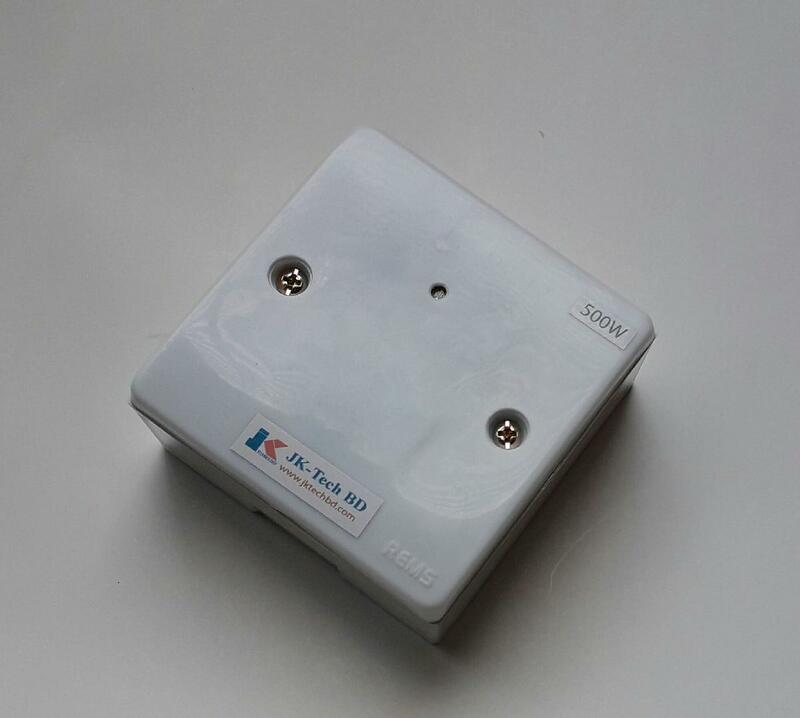 Do you have an outdoor or indoor lamp and you want it switched ON and OFF automatically Then use this DAY NIGHT sensor switch. It switches the lamp ON when it gets dark and OFF when it gets light. The outdoor lamp will never burn unnecessarily. it saves energy and therefore costs. Day Night Sensor is ideal for industrial commercial housing applications offices & outdoor lighting. It also uses Security Lights Street Lights Parking lot lighting Shops garden lighting passage lighting and doorway lighting etc. and any other places for automatic lighting. 2. Domestic or Industrial use. 4. There is no need of maintenance. 5. It must save your valuable time and energy. 10. Internal Voltage : 5v DC 220V AC. 13. Relay Rating : 5v 10A. 15. Ingress Protection (IP) : 50. 16. Working Temperature :0 to 60 degree Celsius.